A recent article in the Connecticut Law Tribune discussed the benefits of entering into voluntary mediation early on in the divorce process. According to the article’s author, a former judge, early mediation can result is less tension and a lower cost for all parties involved. While going to mediation late in the divorce process can be productive, it will not save much on costs. At that point in the divorce, both parties likely have spent significant funds on attorney’s fees for filing the appropriate documents with the court, representing you at hearings, and completing discovery requests from the other party. Plus, divorce litigation often results in an increase in negative feelings between the parties. As tempers flare and the divorce becomes even more acrimonious, the parties may be less likely to work out their differences during a mediation session that comes later during the divorce process. Another benefit of early mediation is that it can dramatically shorten the time necessary to complete one’s divorce. There is often nothing that parties want more than to resolve their divorce and get on with the rest of their lives. 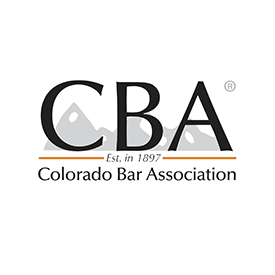 Depending on the speed of your court system and the time that it takes for both parties to gather and document all of the information necessary to proceed to a court hearing, as well as schedule a court date, a Colorado divorce can be a lengthy process. Early mediation, however, can expedite the entire process by helping parties resolve their outstanding issues and move on with their lives. Even if the parties are unable to agree on all issues, they still may be able to reduce the number of issues that must be heard by the divorce court, which still can save time and money. If you and your soon-to-be ex share children, you have no choice but to maintain a relationship with one another, if only to more effectively and successfully parent your children. A highly acrimonious divorce will only make an already tense relationship worse. In many cases, engaging in mediation can overcome much of the hostility and resentment that normally accompanies a divorce. Mediation also can help the parties develop a better, healthier relationship. A better relationship is also better for your children. If your children see the two of you cooperating in order to co-parent, they are likely to be more relaxed and feel less stress in general. Despite your divorce, you are still a family, and the healthier your family is, the healthier and happy everyone will be. If you are interested in using mediation to resolve the outstanding issues in your divorce, we can help. Choose the option that can be more efficient, less costly, and more amiable. Contact the experienced Colorado divorce mediation lawyers at Summit Legal Consultants today, and learn how mediation may help in your situation.